Here on the Ood Sphere, we believe every human should have their own Ood. Not just every adult, but every human. After all, who deserves the love, care, and fastidiousness of an Ood more than your child? 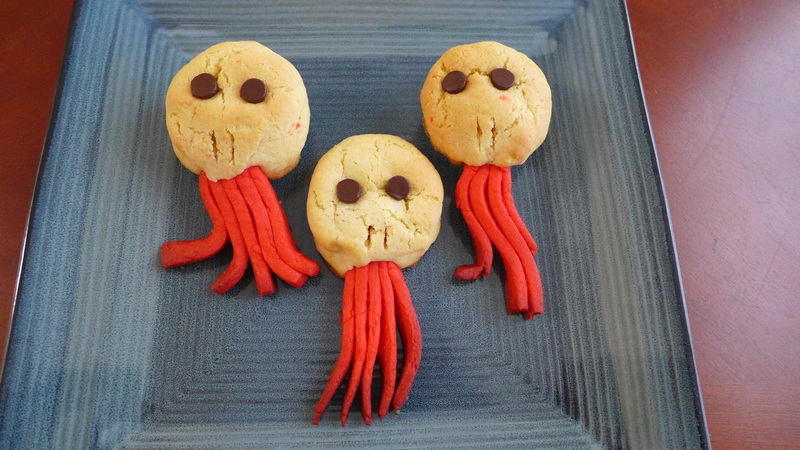 Celebrate a new Ood joining your family with a plate full of these cheerful Ood cookies. To make the heads, start by creaming the butter, sugar, egg yolks, and coconut extract. Using a stand mixer will get a lot of air into the cookies, helping them rise. Instructing your new Ood to mix the batter by hand saves on electricity, but results in flatter cookies. In another bowl, whisk together the flour, baking soda, cream of tartar, and kosher salt. Once they’re as powdery as a British chalk mine, mix in the flaked coconut. Invite the dry ingredients to join the wet ones. Let them harmoniously come together until they blend into a new, unified whole unrecognizable from it’s components. This might require a bit of aggression, but don’t worry as your new Ood servant forms a fleshy dough ball the size of a human head and repeatedly crushes it. After a few rounds of this, you can instruct your Ood to calmly shape the dough into a large oval reminiscent of the head of a peacefully sleeping Ood. Wrap it in plastic and put it in the fridge. Note: never put your Ood in the fridge. It’s both an unsafe environment for your investment and unhygienic for your food. 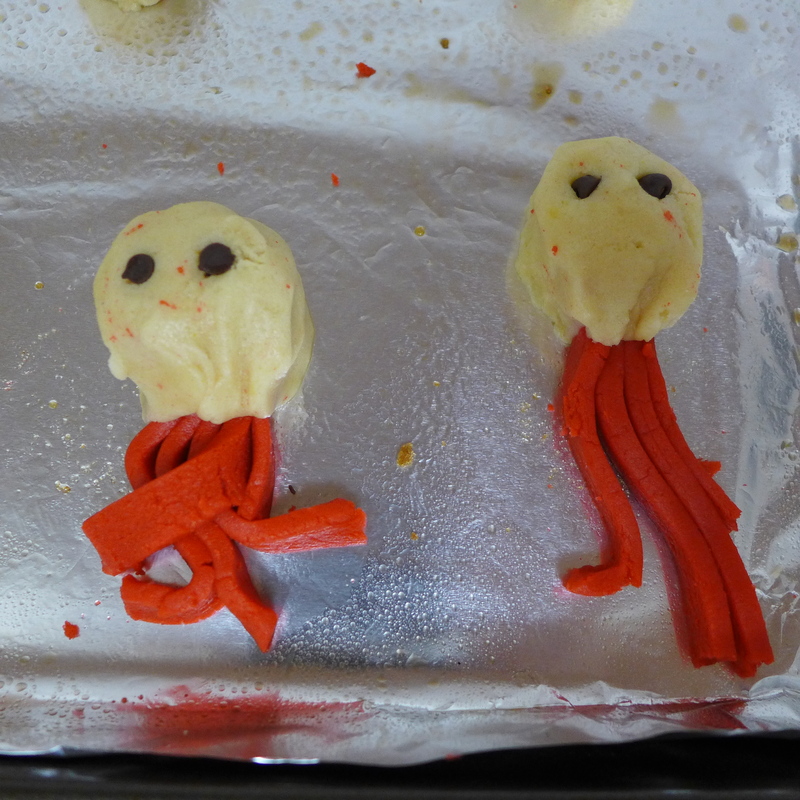 While your Ood’s head chills, mix up the tentacle dough. Blend the butter, sugar, grenadine, cherry extract, egg yolks, and food coloring. 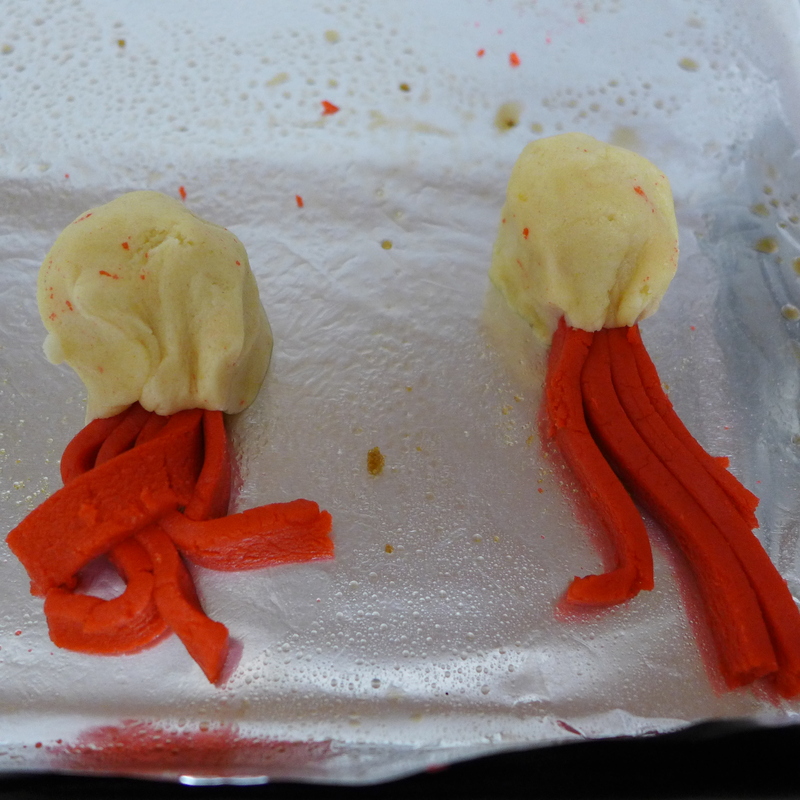 If you leave out the food coloring, you’ll end up with sickly looking pale pink tentacles. A healthy Ood is a happy Ood, so make sure to maintain their facial health. In another bowl, whisk together the flour, salt, and baking soda. Dump the dry ingredients into the wet ingredients. Once more, mix until a dough forms, then aggressively knead the dough a few times. The tentacle dough will be notably heavier and denser than the facial dough. Although the color is reminiscent of muscles, there’s no need to worry at the sight of your Ood ripping the dough apart and occasionally tasting it. 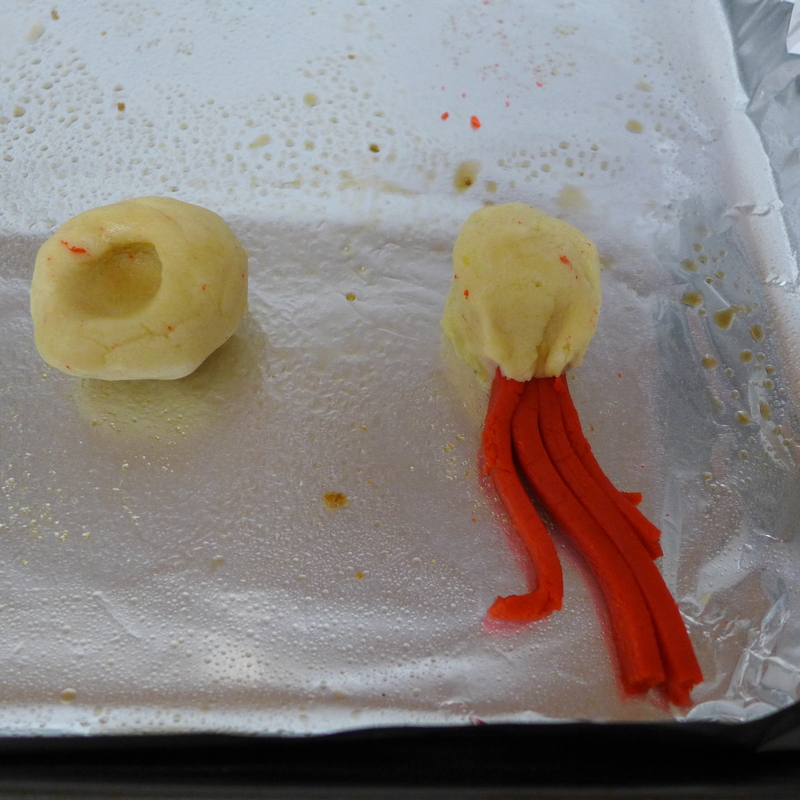 Shape the tentacle dough into a rectangle before wrapping it in plastic. Tuck it in the fridge alongside your facial dough and let it rest for at least an hour. Overnight is fine. It’s time to turn dough the color of flesh and muscle into cookies shaped like edible sentient’s heads! 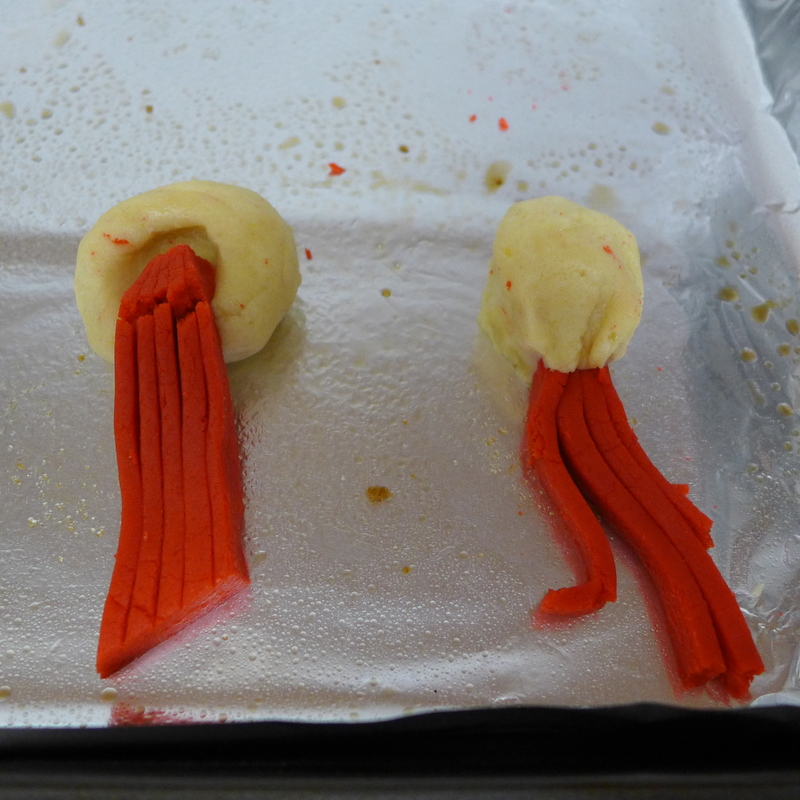 Roll out your rectangle of red tentacle dough until it’s about ⅛ inch thick. Cut it into thin, tentacle sized slices. Now grab a golfball sized wad of the head dough and form it into a ball. Push into it with your thumb. You want to make a hole deep enough to anchor your facial tentacles. Now grab 4-5 tentacles and gently place one end in the hole. Pinch the facial tissue downwards to form a chin around the Ood’s mouth. This not only secures the tentacles in place, but also lets you hide any tentacle breaks near the mouth. Feel free to gently arrange the tentacles into playful shapes. Press a couple of chocolate chips into the face for eyes. You should be able to fit six Ood per half sheet pan. Bake the cookies at 350F for 15-18 minutes, or until they barely start to brown at the edges. You don’t want to give your Ood a tan. 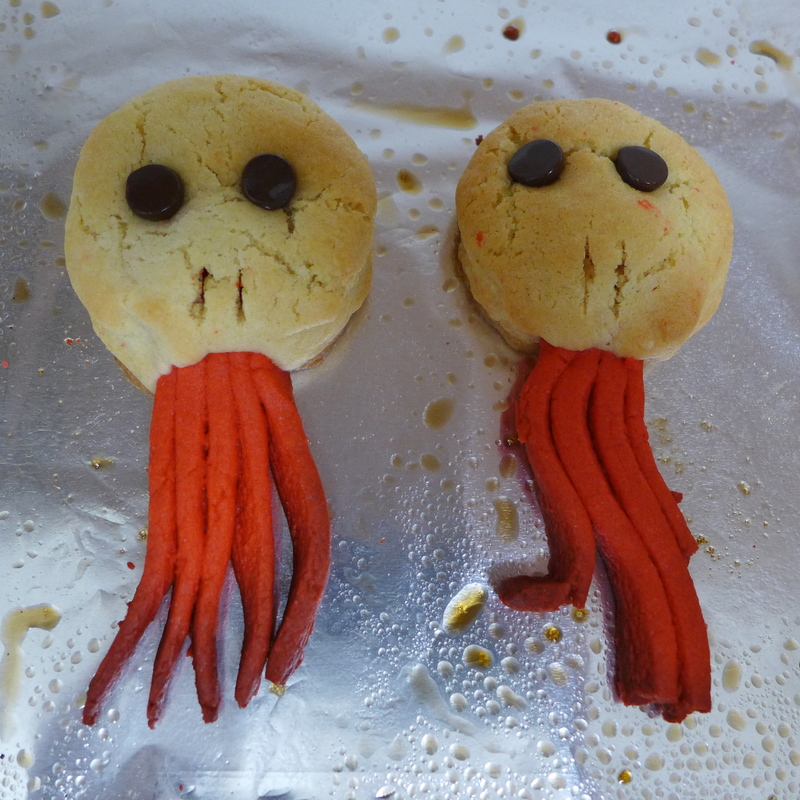 As soon as your Ood come out of the oven, use a small, sharp knife to cut nostril flares just above the tentacles. If the eyes are now too small for their faces, press another chocolate chip in the dark eye sockets. You don’t want to frighten your children with the horror of red eye, but if serving these at an adult party, bake with the chocolate chip eyes and press a red hot into each socket as soon as the cookies emerge from the oven. Let the cookies rest for 5-10 minutes before transferring to a cooling rack. The soft tentacles will be fragile at first. if you move them too soon, they could break, and a broken Ood is a dangerous Ood. 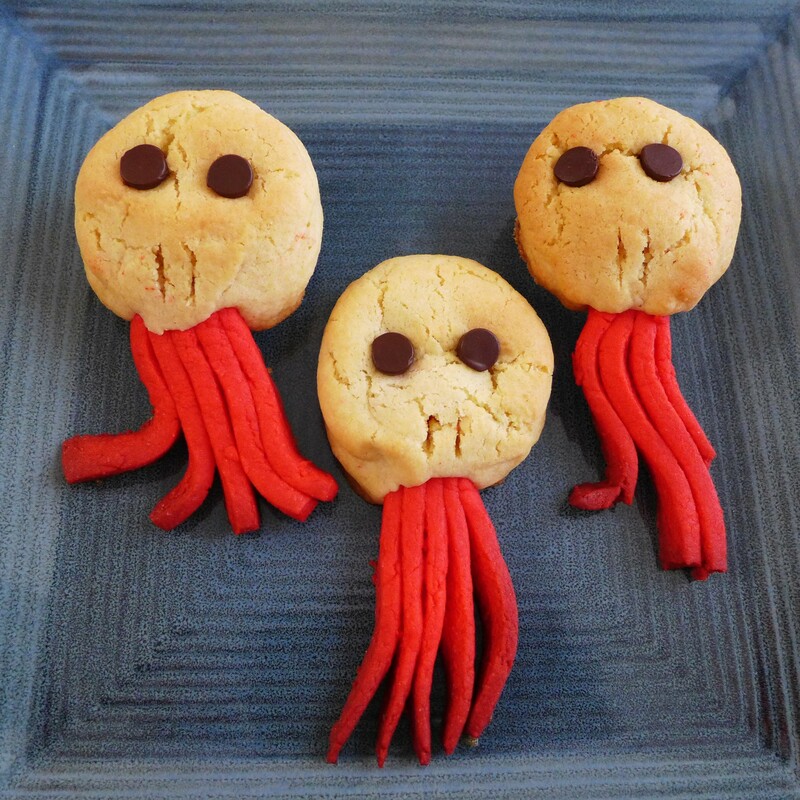 Ocne the cookies cool, you’ll end up with soft, chewy coconut Ood heads which contrast nicely with the solid crunch of their cherry tentacles. 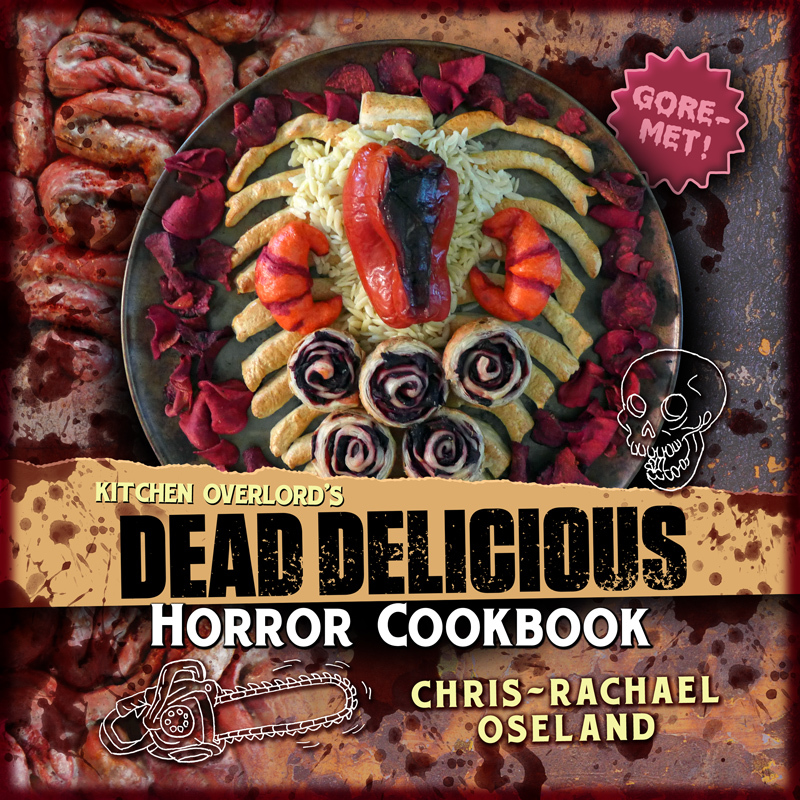 Preview these tasty morsels from the successfully Kickstarted cookbook, Dining With the Doctor: Regenerated – now available for pre-order! 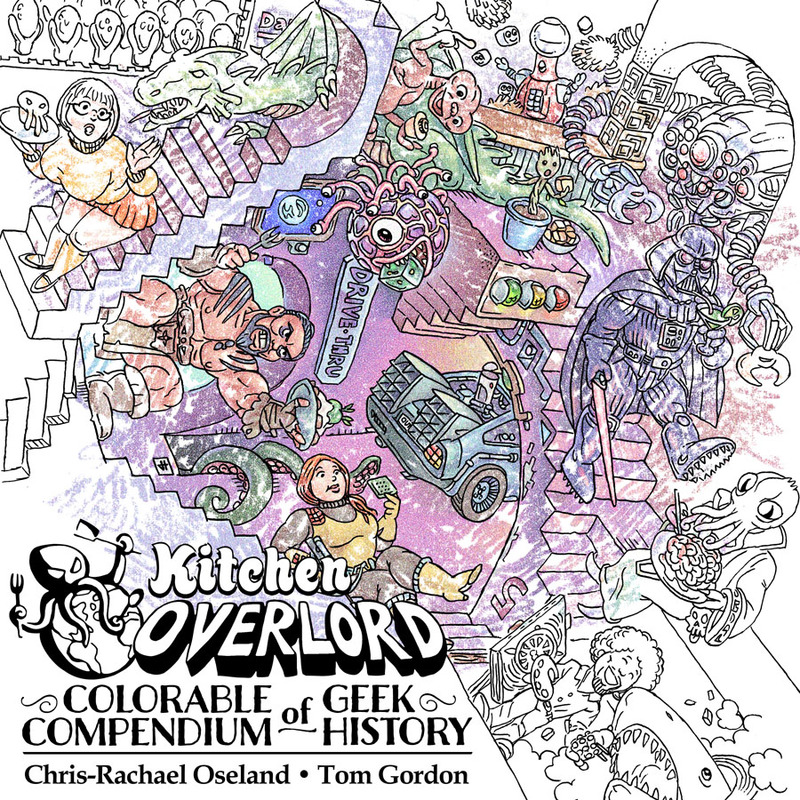 Get over 180 original Whovian recipes including one for every episode of series 1-8, plus bonus chapters for Cocktails and for Fish Fingers and Custard. Cookie Week: That’s no moon! It’s a Death Star Oreo!